And it's armed with new battery technology. The development of electric vehicles is moving at a faster pace than ever, spurred on by the fact that Tesla, the small Silicon Valley-based carmaker, effectively proved the technology is fully capable of serving as an internal combustion engine alternative. And now Toyota is joining the EV revolution with plans to have an EV of its own on the market by 2022. More importantly, Toyota claims this will be a “game-changing” EV that will be powered by ‘solid state’ battery technology. This tech will be capable of dramatically improving driving range and shortening recharging times. Sources claim the so far unnamed EV will be built on an entirely new platform, so it won’t be just a modified Prius. So what are, exactly, ‘solid state’ batteries? Essentially, they utilize solid electrolytes instead of liquid ones which in turn allow for a higher volumetric energy density than the familiar lithium-ion batteries. What’s especially good about these batteries is that they’re capable of holding more than three times the energy of lithium-ion batteries. Toyota has so far not commented on this information, but it would make sense. 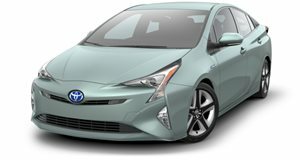 In the meantime, Toyota is still planning a pure EV that’ll go on sale in 2020 but it’ll still be powered by lithium-ion batteries. No word yet on whether both EVs will be sold at the same time (likely) or whether they’ll be specified for various markets. 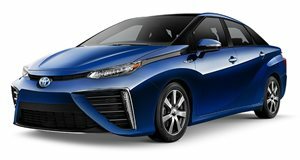 Nevertheless, this makes it clear that Toyota, known for its trailblazing hybrid technology nearly 20 years ago, and, more recently, the hydrogen fuel cell Mirai, has realized that EVs are the way forward.